The containment of AMR is a multi-faceted task that needs a one-health approach as suggested in the World Health Organization's (WHO) 2015 Global Action Plan (GAP) on AMR. Countries including India have aligned their National Action Plans (NAPs) on AMR with this international guidance. One of the important links for various activities for AMR containment is the appropriate use of antibiotics to reduce selection pressure on microbes. According to the GAP, effective regulation will be a key tool for ensuring that national standards aimed at optimising the use of antimicrobial medicines in human anfl animal health are followed in practice. The core idea of this project is to understand and gather the ideas and methods of 'smart regulation' to better understand the underlying problems and apply them to co-produce innovative regulations with Indian national and state regulators and regulatory subjects that will likely lead to mutually acceptable regulations and improved compliance. Applications are invited for Senior Research Fellow (SRF) for DBT project, "Smart regulation of antibiotic use in India: understanding, innovating and improving compliance" under India-UK initiative on 'Antimicrobial Resistance'. The position is with the Principal Investigator of the project, Dr. Anita Kotwani, Professor & Head, Department of Pharmacology, Vallabhbhai Patel Chest Institute, Delhi University, Delhi 110007. Appointments shall be initially for a period of one year renewable for another two years. Last date of application submission is January 28, 2019. Project title: Smart regulation of Antibiotic use in India: Understanding, Innovating and Improving Compliance. This is an innovative collaborative project between Department of Biotechnology, Government of India and Research Councils UK. Indian team - PI, Prof. Anita Kotwani, V.P. Chest Institute, Co-Investigators from Center for Disease Dynamics, Economics & Policy (CDDEP), Amity University and National Institute of Animal Biotechnology, Hyderabad. PI from UK Team is from School of Law, University of Edinburgh, UK. • Conduct structured literature search on antimicrobial resistance and antibiotic use in health care, food animals' esp. poultry farms and environmental pollution from pharmaceutical industry. • Writing documents for key stakeholders, research article, reports. 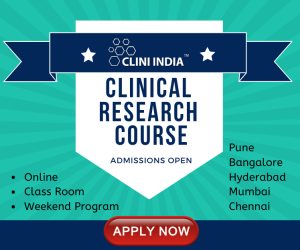 • Conduct in-depth interviews with the key academics, government officials, industry, researchers, civil society members, community at national, state and district level for four case studies. • Assist in collating and analysis of data collected and prepare timely reports for research publications and projects. • Ensure systematic data collection, cleaning, storage and analysis within the project timelines. • Assist in organizing workshops with key stakeholders, project reports and updates to the donor and other partners and coordination among other research partners within and outside the institution. • Support in any other research and work needed with day to day functioning of the organization as specified by the study investigator. • May have an opportunity to enroll in a PhD course with the project. 1. 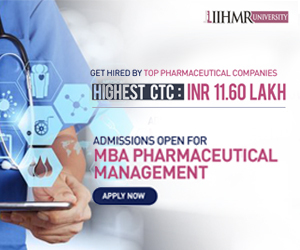 Post graduate degree in Pharmacology/ Public Health/ Hospital administration/ Veterinary Sciences.